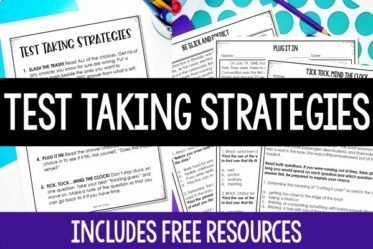 In a perfect world, all of the reading strategies and techniques we teach our students would easily transfer over to testing situations. However, that is not the case for a lot of our students. 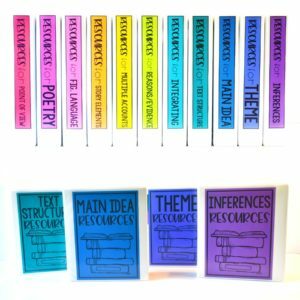 This post will share one of my go-to reading test prep strategies that helps keep students engaged while reading lengthy texts and supports their comprehension. This reading strategy ties in a lot of the best practices from the entire year and presents it in a way that supports students on state assessments. 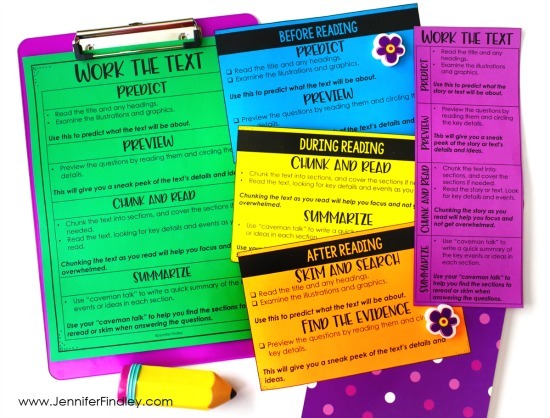 This reading test prep strategy helps students “work the text.” It helps provide them with a purpose for their reading and helps them focus on the text, keeping them engaged while they are reading. As you can imagine, this also helps scaffolds their comprehension of the story. Let’s take a closer look at each step of this strategy and the purpose of each. For this step in the strategy, the students read the title of the text and any headings. Then, they examine the illustrations and graphics. They use the information gathered to predict what the story or text will be about. 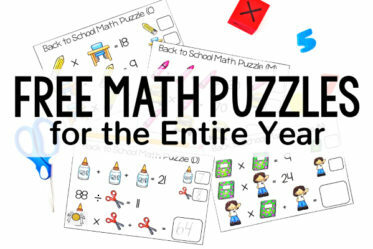 This helps get their brains ready and gets them ready to read. For the next step, the students preview the questions by reading them and circling the key details. 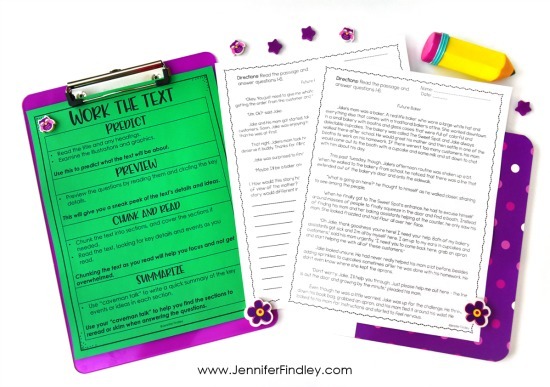 This step gives the students a sneak peek of the details, ideas, or events that will be shared by the text. I compare this step to watching a movie trailer. It provides just enough details so you are not going in blindly and you have a context which helps you understand the movie. Now, we are finally ready to begin reading. This step in the strategy is two-fold. Chunk the text into sections, covering the sections if needed. 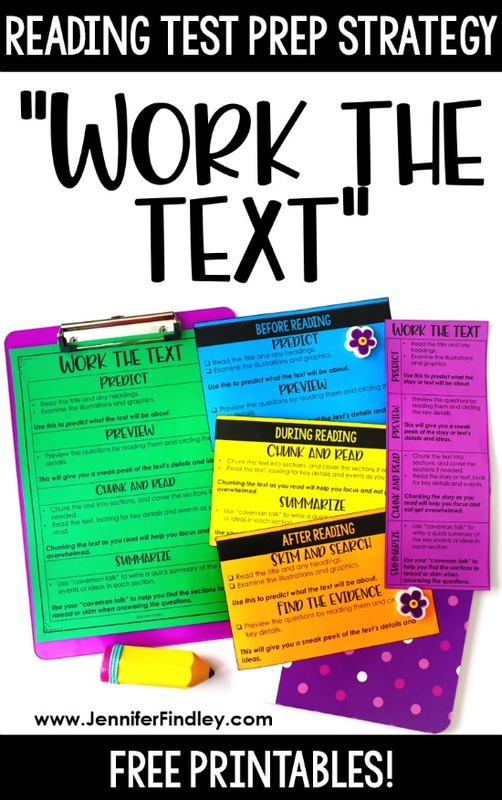 Chunking the text as they read helps the students focus and not get overwhelmed. 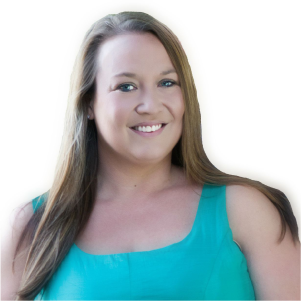 Read the story or text looking for key details and events. After reading each section, my students use very simplistic words to summarize the key ideas or events. We call this “cave man talk” because the focus is only on writing the main words from that section. I don’t want my students spending their time writing complete sentences or detailed summaries. I do have to model this for the students a few times, but they actually really enjoy it. Actual Summary – The children realized they had taken a wrong turn and were now lost. Actual Summary – The natural habitats of some animals are being harmed by residential buildings. 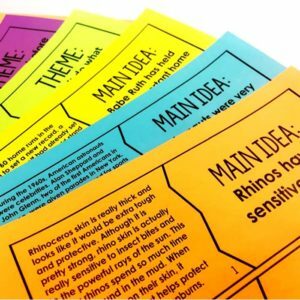 The “cave man talk” helps students process the text as they are reading and helps them refer back to the text when they answer the questions. The students use their “cave man talk” summaries to help them find the sections to reread or skim when answering the questions. 1. Teach and model the strategy whole group. 2. Practice during small group and reading centers. 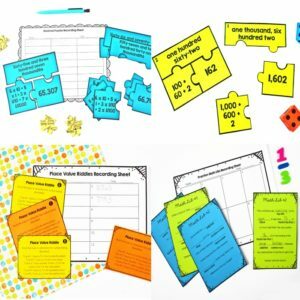 We use this strategy while doing any type of small group test prep practice and my students have the expectation that they must also do it during any reading centers that are test prep practice. 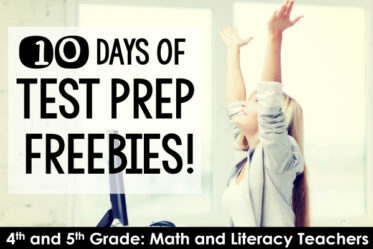 Read more about how I use test prep centers here. 3. Have reluctant or unengaged readers? 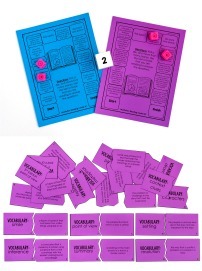 My favorite way to implement this strategy is to “work the text” during whole group or small group reading instruction and then let the students play a game with the text. 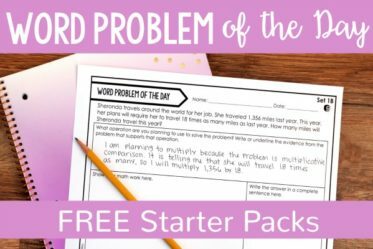 Click here or on the image below to grab free printables to help you implement this reading test prep strategy with your students. 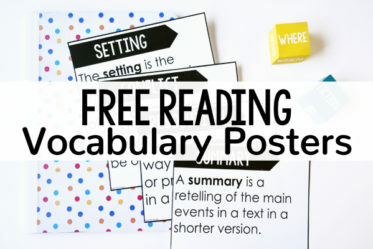 I have included the printables in a few different formats to best fit your needs, as well as an “after reading” card. 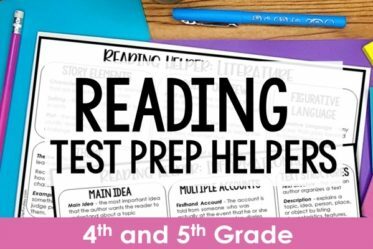 These are my recommended reading test prep resources for 4th and 5th grade. 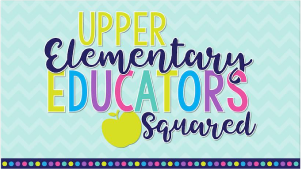 Click on the links below to check them out!